The ministry of health has deployed over 400 health personnel to handle any emergency that may arise during the Pope’s visit. Launching the Uganda National Ambulance service, health minister Dr. Elioda Tumwesigye said, a team of Epidemiologists and surveillance division staff has also been deployed at all the sites to manage any health related problem. “We have stocked enough medicines and supplies to treat those who may fall sick,” he said. 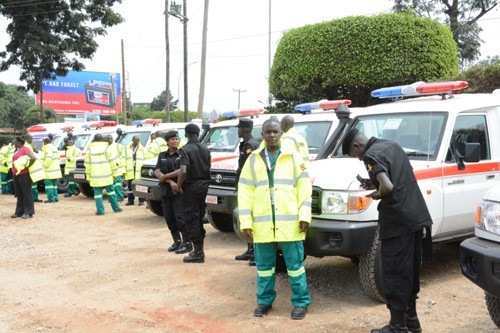 The ministry also flagged off 38 ambulances which are ready to handle emergencies during the Pope’s visit. “Ten of the ambulances are new others are from UPDF, City ambulance, Mulago National referral hospital, Rubaga and Mengo hospitals among others,” he added.